It’s interesting to watch the sinuous waves of blogging stats. Last month I had huge growth in followers but not much income. 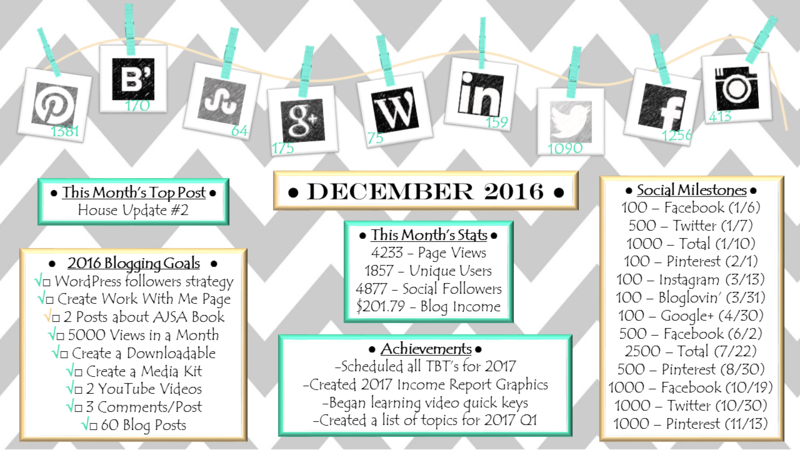 This month, my income was almost triple last month but my follower growth was less than a third. Progress is progress though. I know that I can’t focus on too many pieces of the puzzle at once or things will fall apart. Here’s how the stats looked for December. Last month I mentioned that my goal for December was to maintain. I have done just that. I focused more on the content, scheduling, and routine rather than trying to grow. I’d say this definitely paid off. I noticed that the more solid I have everything, the more people want to view the site. I had my largest amount of page views in a month (not including one month where two posts stumbled like crazy). I’m hoping I can continue this trend. My plan for this month is to get ahead. I have a lot going on this year. This year marks my 10 year high school reunion. Less than a month after that is closing on the new house and the wedding. All of that on top of my every day life is a lot plus I have to get my house in tip-top shape to sell it. I’m hoping the timing works out well so we don’t have to move twice but we will see. I’ve already started preparing the blog. I have an outline of posts I’d like to write through March and with any luck, I’ll have all of February and March’s posts done by the end of January. Of course, I’ll have house updates to add in throughout the month but hopefully this will help me stay afloat. 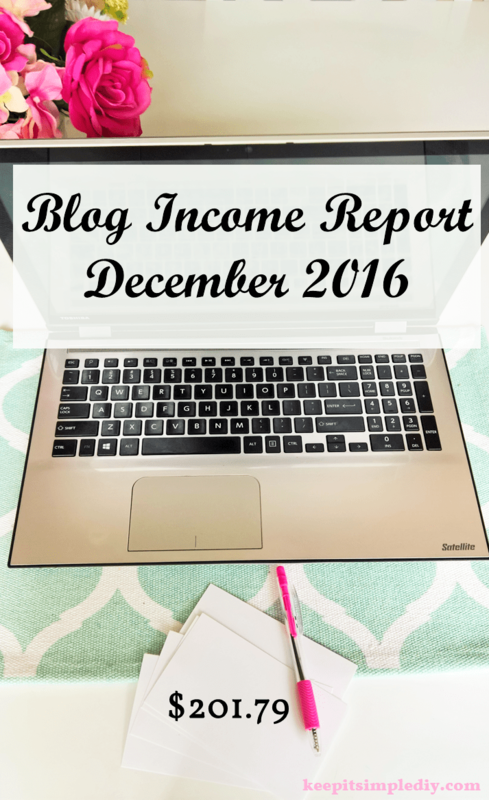 I always love reading other people’s income. I am just starting my blog back up after some rebranding and planning months.. and it’s inspiring to see! Best of luck with continued growth. Keep putting out great information, good solid posts and it works. Isn’t it great when a post go wild. I love that you had such a great month when you focused on maintaining. I’m working on getting into a routine and focusing on content and scheduling, so that’s great to hear. I have just started affiliates and looking into earning income from my blog and sites. I was able to find a solid planner that included yearly, monthly and weekly goals plus scheduling. I am hoping to start earning soon and wish you the best in your ventures too 🙂 Every follower, like and share I am happy about too. Congrats on increasing your blog’s revenue. I also think it’s great you have outlines for your blogs through March. I’ve been trying to plan ahead on my blog, too. I just relaunched my blog as well and am working on earning more from it this year. Thanks for sharing your info. Best of luck to you this year! Also congrats on maintaining! Love seeing how you are doing 🙂 Congrats!